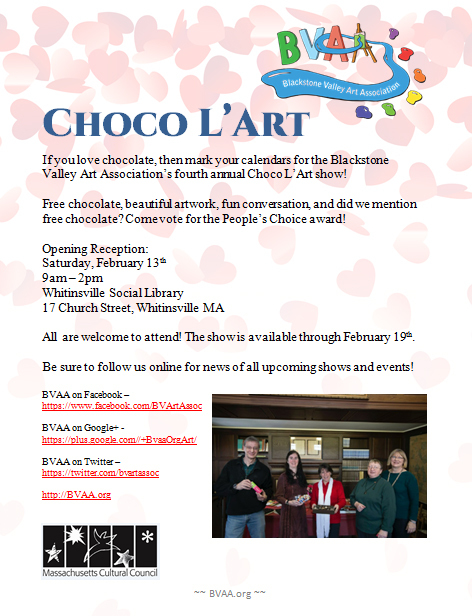 Our 2016 Choco l’Art show is the perfect melding of chocolate and art! The FREE public event is at the Whitinsville Social Library at 17 Church Street in Whitinsville, MA. It’s from 9am to 2pm. All are welcome!